Kentwood Ford is not content to simply serve as an automotive dealership to the City of Edmonton. We don’t just do business here; we live here, we shop here, and we play here, too! As such, we want to help enrich our local community, and make Edmonton a better place. 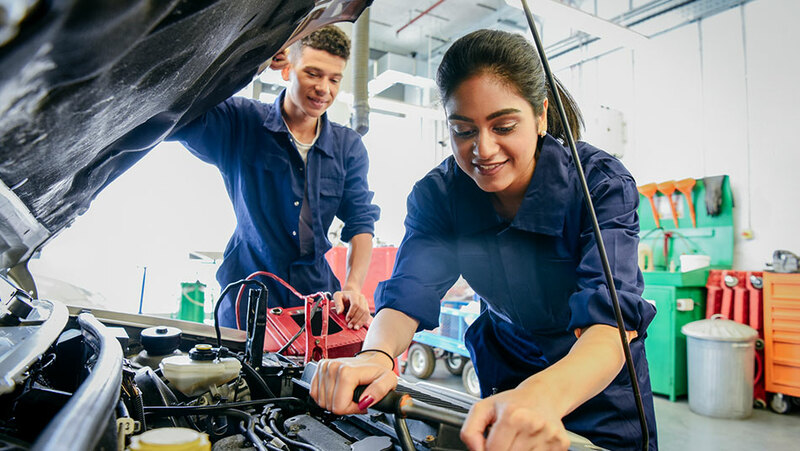 One of the ways we here at Kentwood Ford want to help is by providing opportunities for students to get apprenticeships in the automotive industry. Working with local high schools, Metro Continuing Education, and NAIT, Kentwood Ford helps place interested kids in a position where they can have actual hands-on experience within the automotive trades. We’re not talking about sweeping floors and cleaning the shop! We want to give students a chance to get their hands dirty working alongside trained technicians, so they can learn about the trade they’re interested in. We work closely with teachers so these apprentices can stay on track to achieving their goals, and obtain work once they’re done school. Here at Kentwood Ford, we have several employees who started as an apprentice through this program, and are still with us today! At Kentwood Ford we will always make sure you have the knowledge to succeed, and we won’t make any false promises. If you have the drive, the knowledge, and the willingness to work hard to give yourself a leg-up on an exciting career in the automotive trades, get in touch with us, today, and we’ll see if we can help you achieve your goals!